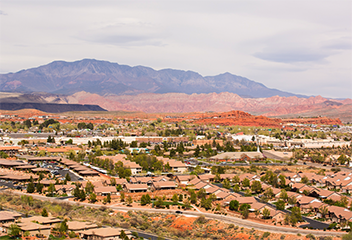 Home buyers in and around St. George and other parts of Southern Utah will enjoy the wide selection of communities to choose from. These include cities such Hurricane, the aforementioned St. George, and Washington, as well as small golf communities such as Green Springs and Sky Mountain, and a variety of other types of neighborhoods. Click on the links below to find real estate listings of all the houses, townhomes, and condos available each community and read about info about the amenities nearby. For more information about any of these communities, Contact Bob Richards & Associates anytime! 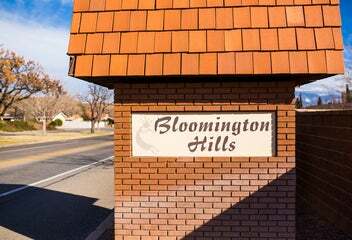 The community of Bloomington is one of the older developments in St George and is located in the southwestern and southeastern part of the city. 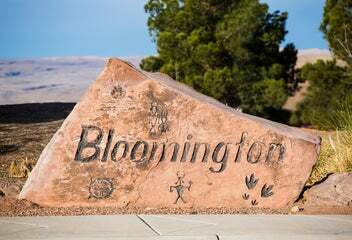 Bloomington was originally established as a development around the Bloomington Golf Course. The Virgin River follows a winding course through the community and the landscape is lush with big trees and developed plants. The Bloomington community is home to two golf courses and a community club house. 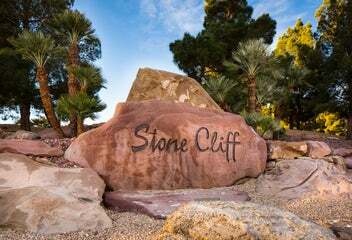 Coral Canyon is a 2,600-acre master planned community located north of St. George, immediately to the southeast of the interchange of I-15 and SR-9. Right at the exit is a central village that includes shopping and gas, an 18 hole championship golf course, great schools, churches, family parks, and office spaces. Coral Canyon features Fifty percent of its land as a preserve to natural open space in order to protect the beautiful views and hiking trails. 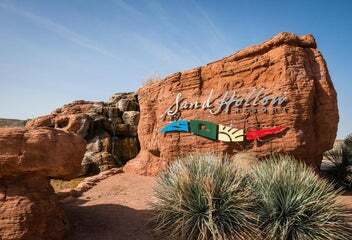 Desert Canyons is a master planned community in the South East corner of St George Utah. This newer St George Real Estate development is centered where residents can live, work, and play. 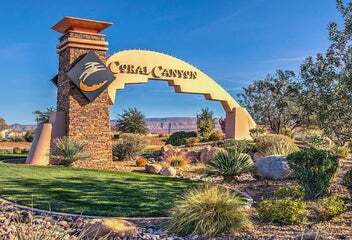 Desert Canyons has plans to develop over 3,800 dwelling units, as well as commercial buildings with employment opportunities, and community-serving uses. 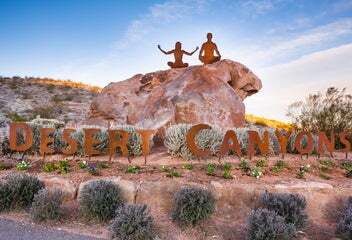 Desert Canyons is easily accessed via Interstate 15 and the Southern Parkway road. This provides quick access to the new airport as well as near by shopping. 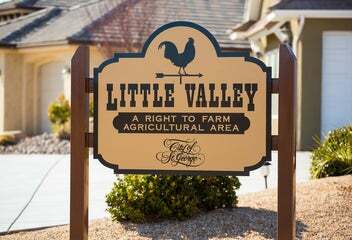 Little Valley was strictly reserved as an agricultural and equestrian St George Real Estate area. With the extreme growth of St George, due to the prime lots available in Little Valley offering larger lot size, great views of Pine Mountain, the red mountains toward Snow Canyon as well as Zion views--property seekers and builders began to target Little Valley and the area essentially exploded in population. 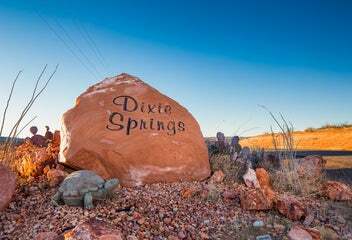 This is one of hottest St George Real Estate areas! Sky Mountain Real Estate offers a broad-spectrum of architecturally designed single-family residential units. 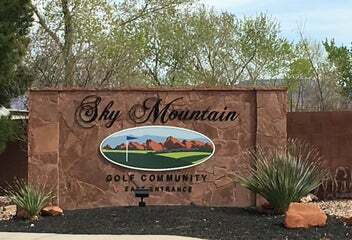 Sky Mountain development is comprised of two communities that have a total of 243 residences constructed around the scenic mountain views and lush green gold course. Sky Mountain is located near a private airport and is only a short drive to restaurants and shopping. 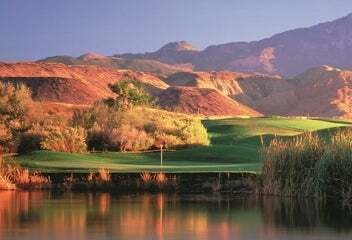 If you like breathtaking views and lush green golf course scenery, Sky Mountain might be your new home! 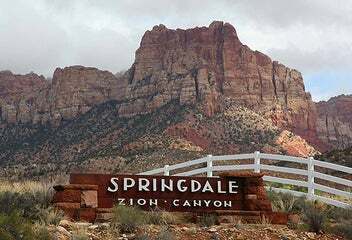 Springdale was founded in the 1850’s, and is the “Gateway to Zion National Park”, drawing over 4 million visitors each year. Springdale Real Estate provides much of the lodging, dining and other travel services for the Park. 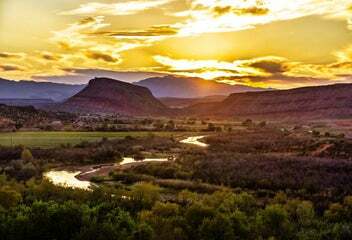 Zion Real Estate is home to Utah’s oldest and most visited national park. 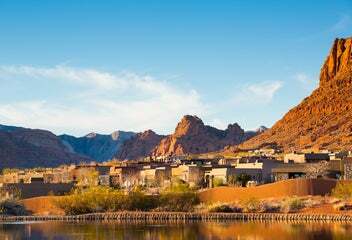 Springdale Real Estate & Zion Real Estate communities are featured as one of the most Energy Efficient and Conservation Minded Communities in the United States; All with breathtaking views of Zion! 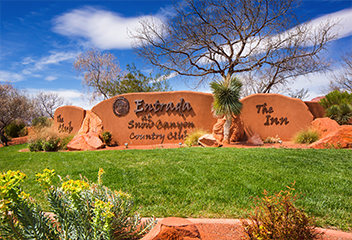 SunRiver St. George is a gorgeous 55+ community located on the outskirts of St. George Utah near Exit 2. 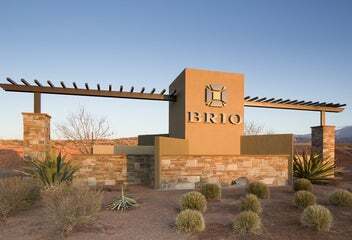 This mountain view community offers very well-built single-family homes and numerous retirement amenities as well as plenty of activities. 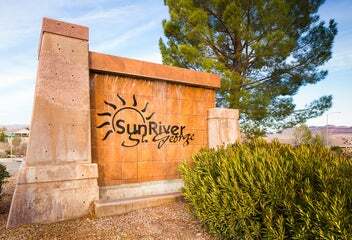 Residents of Sun River St. George Real Estate enjoy the 18-hole champion golf course, a state-of-the-art fitness center built for the 55+, beautiful swimming pools and spas, outdoor sport courts with shuffle board & Pickle Ball, walking paths and more.